After shedding weight, Shami had managed to stay injury-free over the last 12 months, helping him become a much-improved bowler and Kohli's go-to man in the Test format. 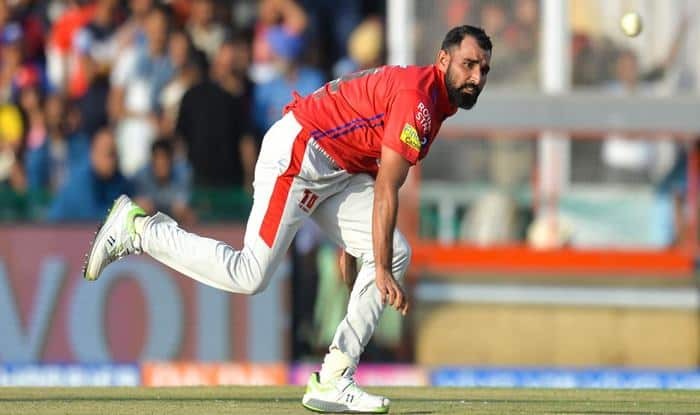 Having battled weight and injury issues himself, former Australia pacer and KXIP bowling coach Ryan Harris is not surprised at the benefits a ‘leaner’ Mohammad Shami has reaped after drastically improving his fitness levels. Having shed around 8 kgs, Shami has been able to bowl with pace consistently. He has also been able to stay injury-free over the last 12 months, helping him become a much-improved bowler and Virat Kohli’s go-to man in the five-day format. How Shami got his mojo back is a case Harris can very much relate to. “The first couple of days I met him (at KXIP camp), he told me how he improved his fitness and dropped 7-8kgs. How he did some training in hot conditions in Chennai, making him lose weight rapidly. Talking more about Bumrah, Harris said: “He is very unique. If you listen to a lot of talk over the Australian summer, a lot of fast bowling commentators were saying that if he could just pull his arm front arm in, he will bowl quicker, I disagree with that. He closely tracked Indian bowlers’ performance in Australia and was left hugely impressed. “We have got a really good attack back in Australia but we were out bowled by India (in the series last summer). They way India bowled, we bowled that way in the 2013-14 Ashes. We did not give England an inch. “But we could not do the same against India, we were not able to put sustained pressure and Pujara batted beautifully as well,” said Harris, who represented Australia in 27 Tests, taking 113 wickets at 23.52. As someone who is part of the KXIP support staff, Harris also had plenty to say on Ravichandran Ashwin’s ‘Mankading’ of Jos Buttler, the most talked about incident of the IPL so far. Would he have run Buttler out in the same way? “Probably not. Being a quick bowler, you don’t think of those things. It is much easier for a spinner with the approach being a lot slower. I have actually stopped a non-striker in the past, though I have not attempted a run out or Mankad. “There are some batters who sneak off for those extra two-three metres, that is against the rule. You warn them once and if they keep doing it, then you are in your right tight to do it (Mankad),” added Harris.